The ROCOR Western Rite’s missions in England are collectively under the patronage and protection of Our Lady of Glastonbury, one of the oldest titles for the Mother of God in English Christianity. The ancient abbey church at Glastonbury, dating from the 5th century A.D., is the former location of the oldest site of Marian devotion north of the Alps. In its heyday, it was one of the greatest monastic houses in England, second only to Westminster Abbey, and one of the major centres of pilgrimage in the country.The site is associated with the legends of Joseph of Arimathea and connected with Saints Patrick and Brigdet of Ireland, Saint Neot, as well as Saint Dunstan, who was the abbot of the monastery before eventually becoming Archbishop of Canterbury. 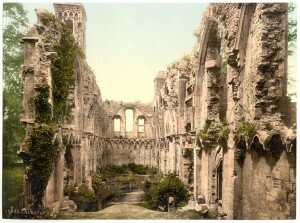 The Abbey at Glastonbury was eventually destroyed by reformers in the 16th century A.D., with its abbot being executed. 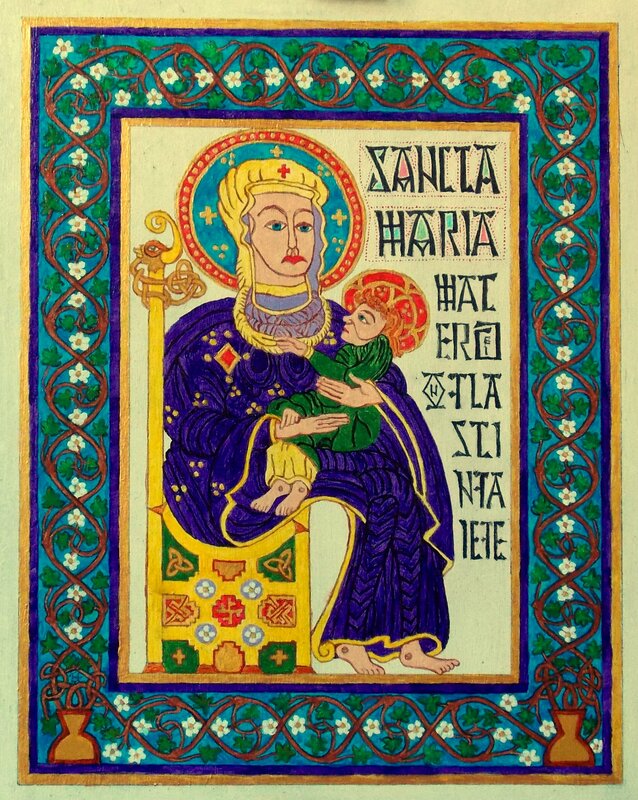 The ancient image of the Mother of God, the focus of centuries of pilgrimage, prayer and devotion, vanished and was never seen again. Our Lady of Glastonbury, pray to God for us! Saint Dunstan, pray to God for us! All Saints of Glastonbury, pray to God for us!